On our way back from the N&WHS Convention in Strasburg, we stayed the night in LaVale MD. I spent some time on Sunday evening, the 16th, and Monday morning, the 17th, before we drove on home. 1. 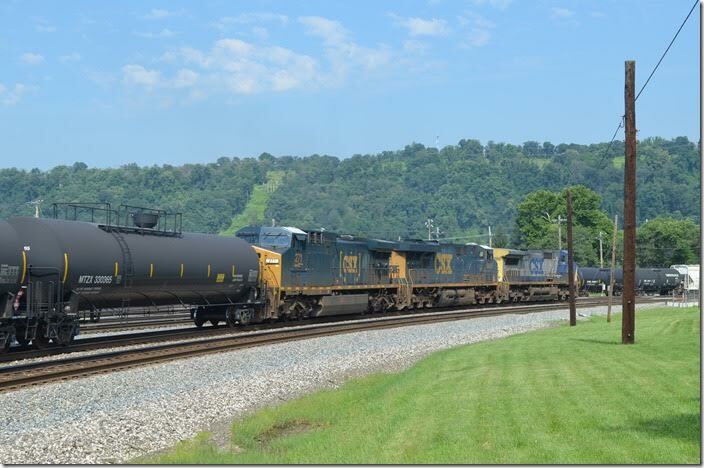 CSX 450-5201 pull into the yard for a crew change at Virginia Avenue with eastbound multi-levels and single stacks. Cumberland MD. 2. Looking east from the parking lot at Virginia Avenue. CSX 2045. Cumberland MD. 3. 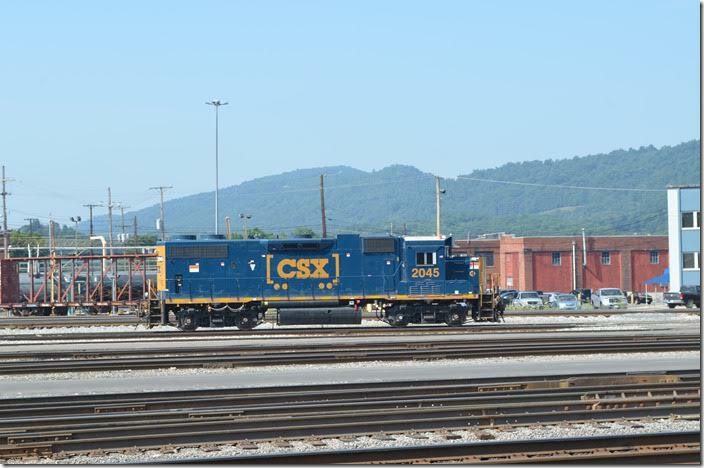 CSX “GP38-3” 2045. View 2. 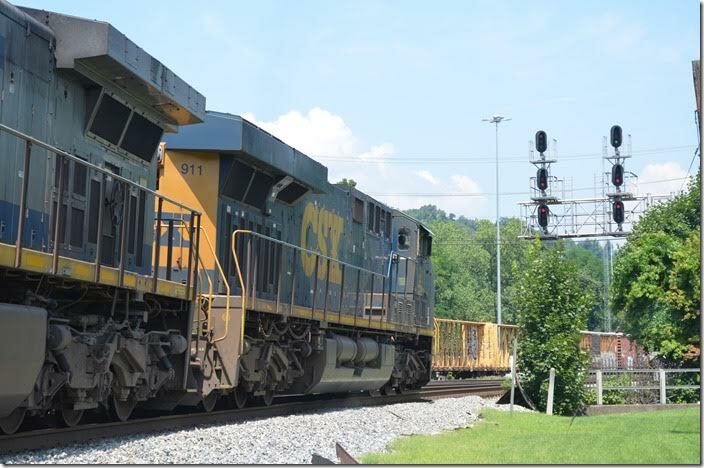 CSX 2045. Cumberland MD. 4. 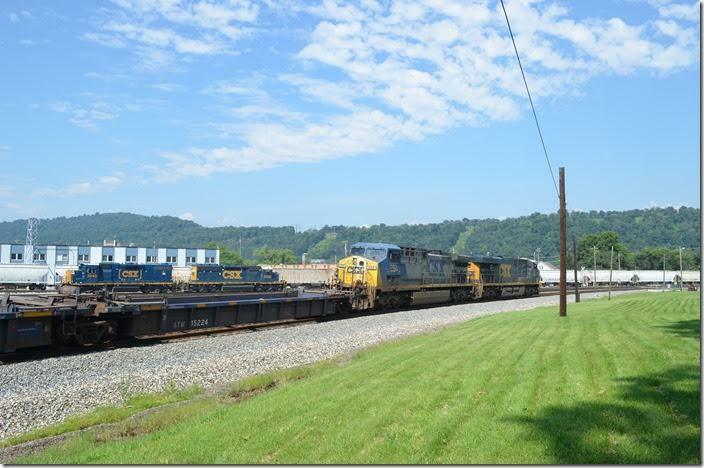 These rebuilt GP38s and 38-2s are used on locals and in yards. 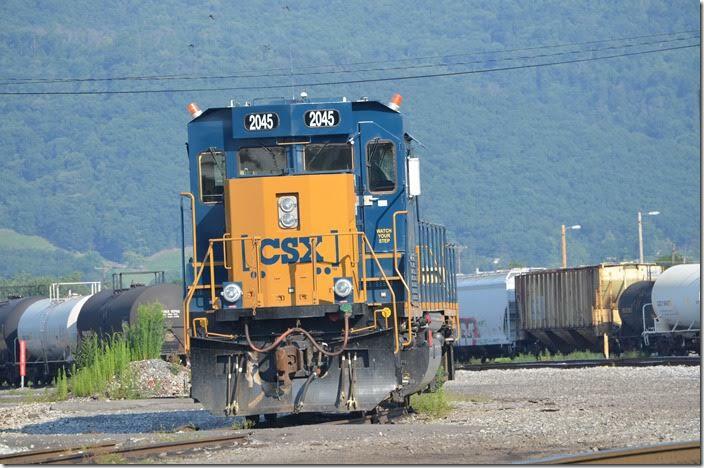 CSX 2045. View 3. Cumberland MD. 5. 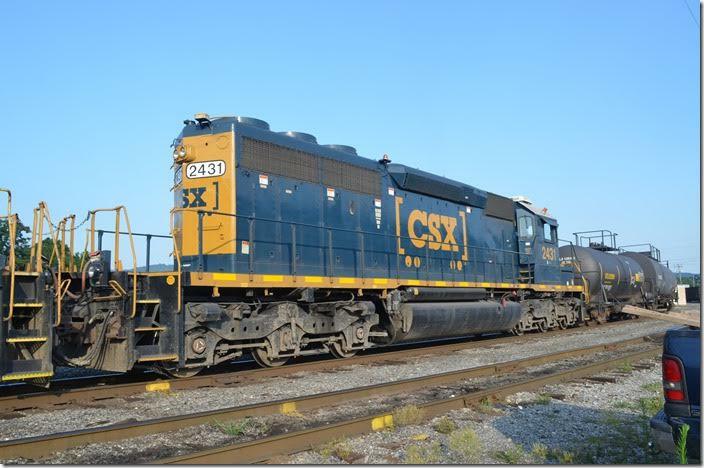 CSX 8226-2040 are flat switching, as the hump is closed. Cumberland MD. 6. 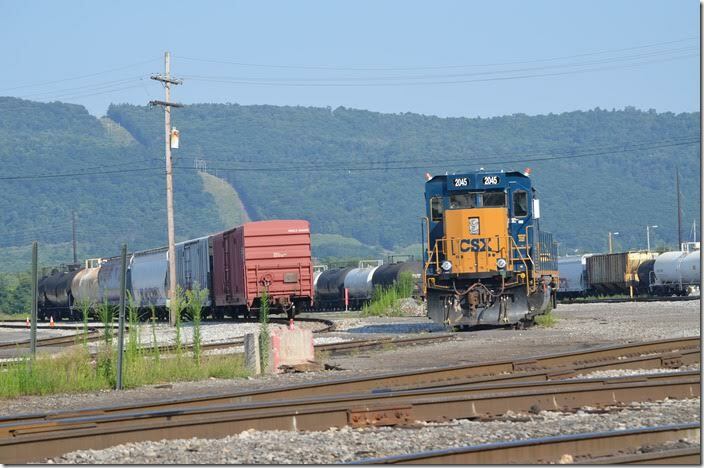 CSX SD40-2 2431 -- originally L&N – is now a yard engine. Cumberland MD. 7. 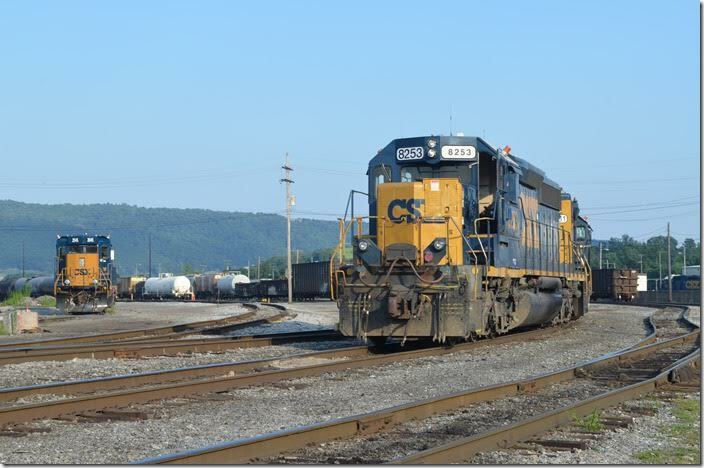 CSX 8253 is an ex-B&O SD40-2 relegated to yard duty. Note the different number boards. This engine set was being operated by remote control. 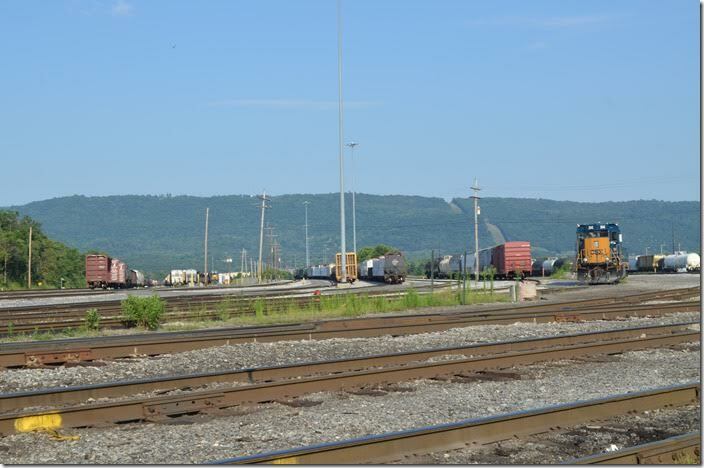 CSX 8253-2431 2045. Cumberland MD. 8. CSX 8226-2040 switch another cut. Cumberland MD. 9. 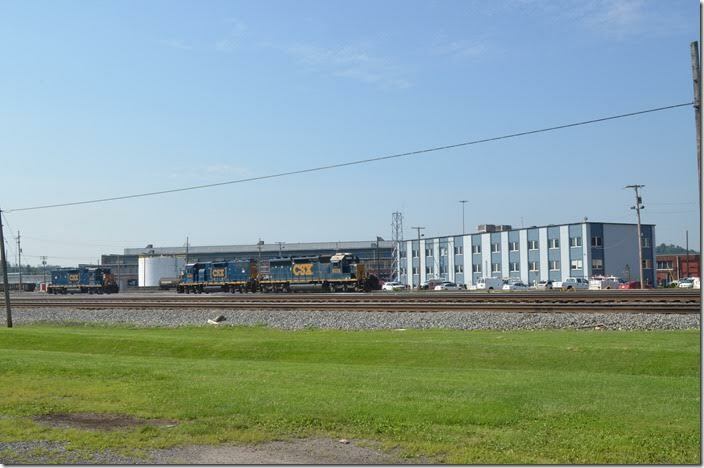 On Monday morning we find this nice parking place across from the yard office and locomotive shop. 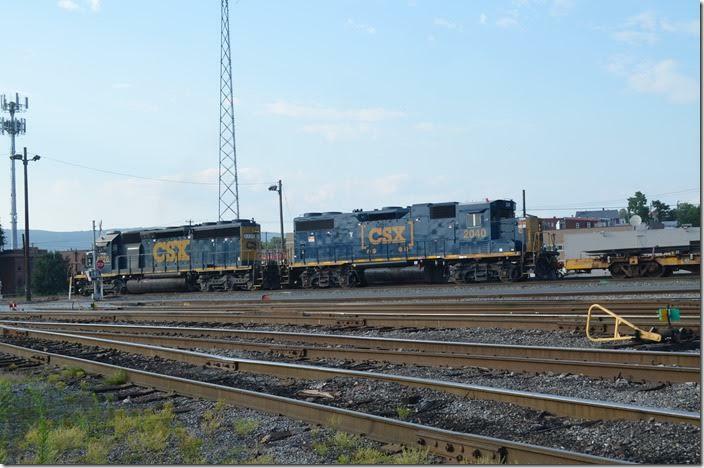 CSX 8226-2040. Cumberland MD. 10. The brown building on the right used to be the crew quarters. It later housed the locomotive training school. 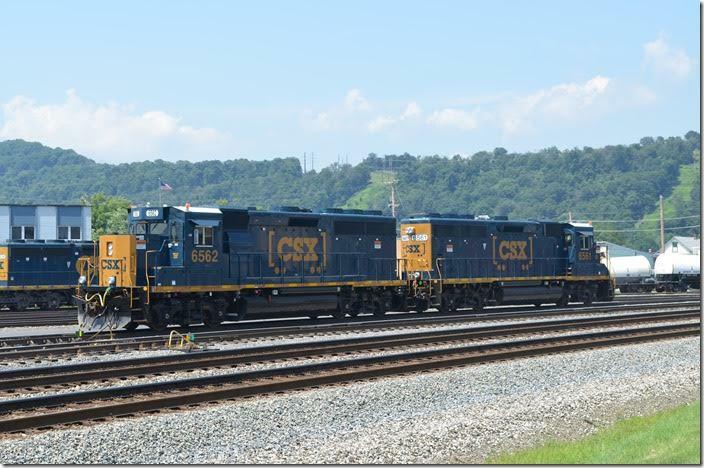 CSX 2040-8226. Cumberland MD. 11. 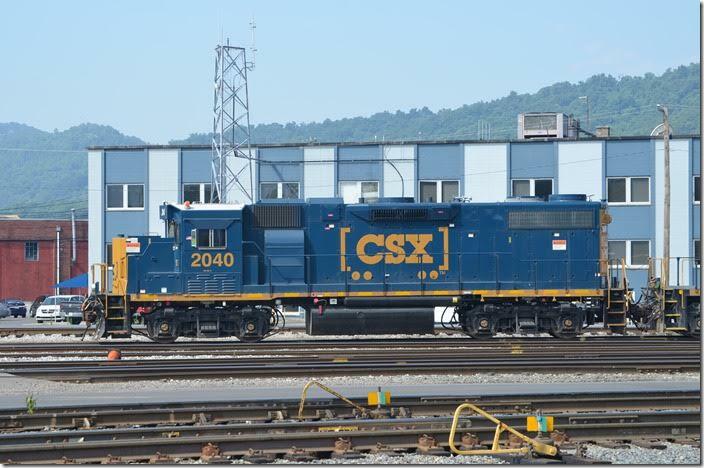 Another view of CSX “GP38-3” 2045. Cumberland MD. 12. 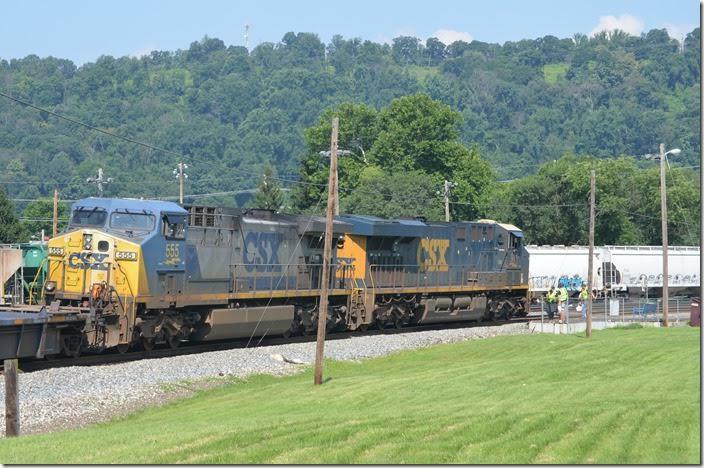 CSX 7915-5458-271 pull to a stop at Virginia Avenue with a w/b freight for a crew change. Cumberland MD. 13. 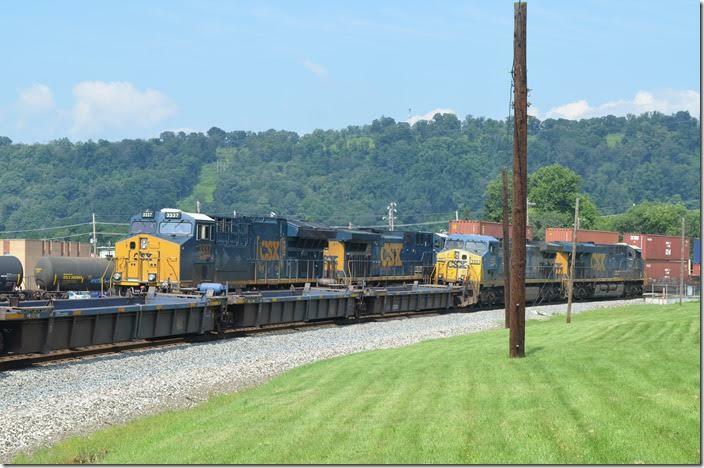 CSX GP38-3 2040. Cumberland MD. 14. CSX 911-555 roll to a stop with Q135-16 at 10:24 AM. Cumberland MD. 15. The inbound crew exchange notes with the outbound crew. 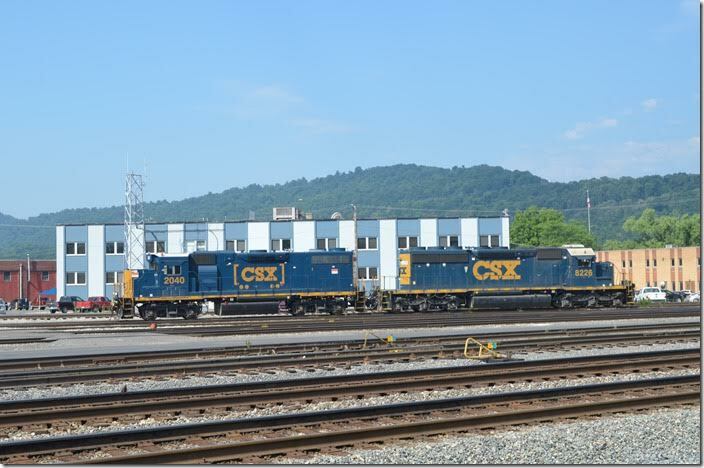 CSX 911-555. Cumberland MD. 16. 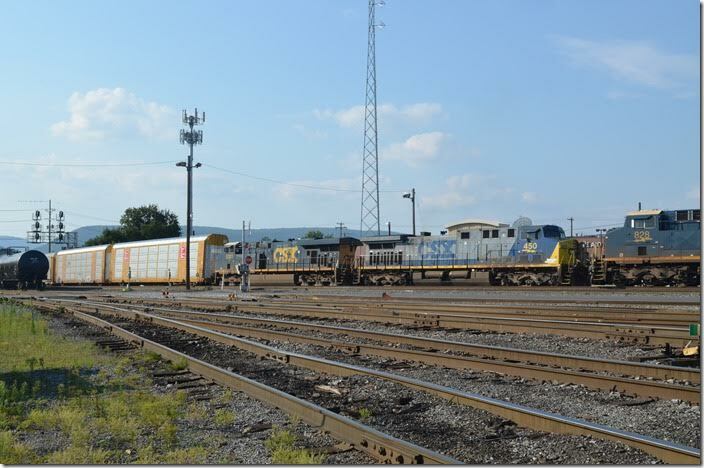 Q136-16 behind CSX 3337-571 arrive at 11:01 for a crew change. Cumberland MD. 17. Q136-16 leaves town at 11:06 AM. 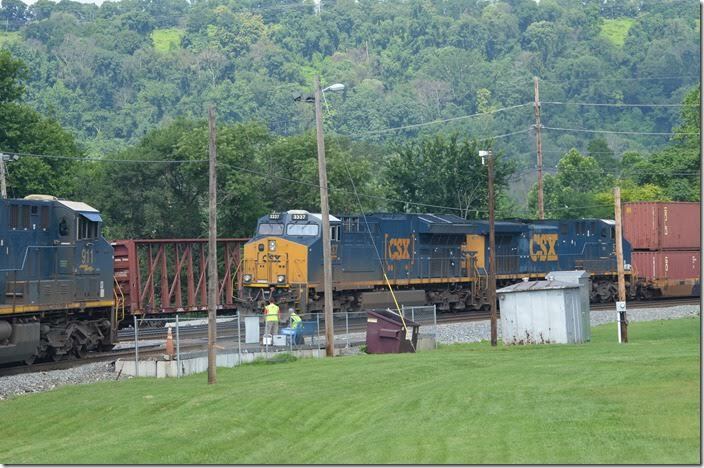 CSX 3337-571. Cumberland MD. 18. 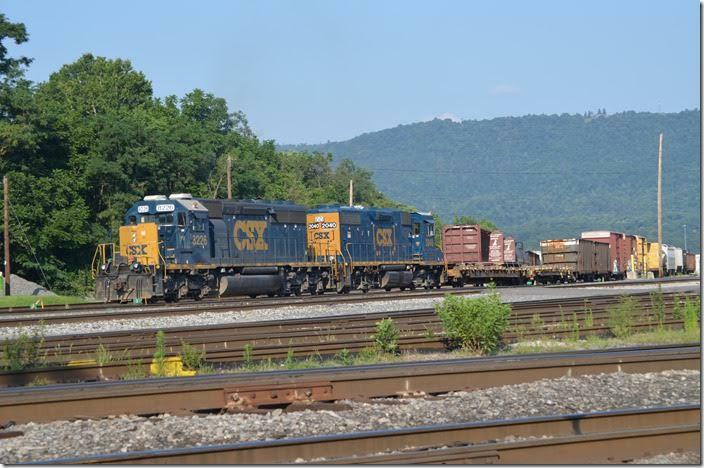 CSX 2431-8253 continue remote-controlled flat switching. Cumberland MD. 19. 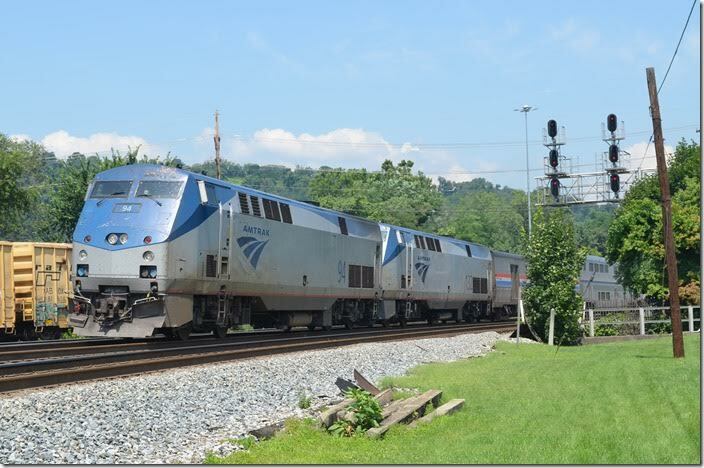 Amtrak P030, the eastbound Capitol Limited, departs at 11:55 AM (scheduled for 9:32 AM) with 9 cars behind Amtrak 94-132. Cumberland MD. 20. Clear signal at Virginia Avenue. Q135-16 departs at 11:56 AM. Track work west of Cumberland caused Q135 to be held until an already late P030 passed. CSX 911. Cumberland MD. 21. 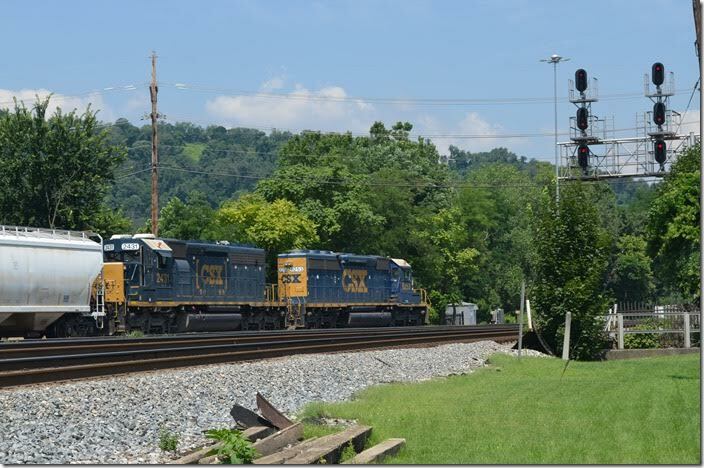 CSX 6562-6561 are “GP40-3” upgraded from old GP40s and 40-2s. Cumberland MD. 22. We paused in Frostburg MD to check out the WM Scenic Railroad station. I’m not sure if WMSR has resumed service to Frostburg or not. 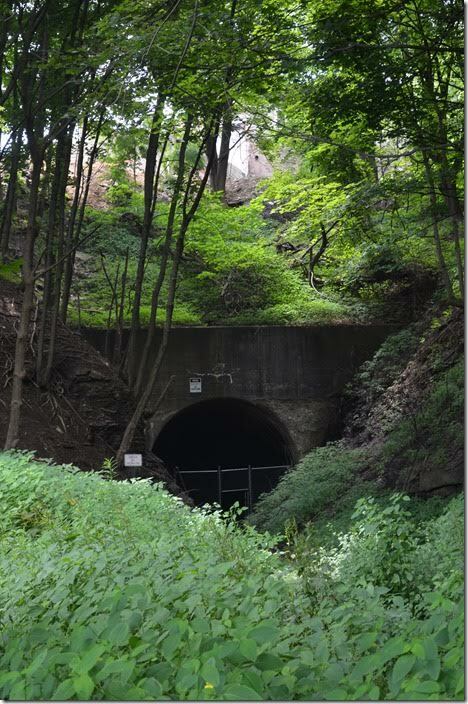 Just beyond the turntable is the old Cumberland & Pennsylvania Railroad tunnel which took that line under the town and down into the Georges Creek valley to Westernport. C&P tunnel - Frostburg MD.